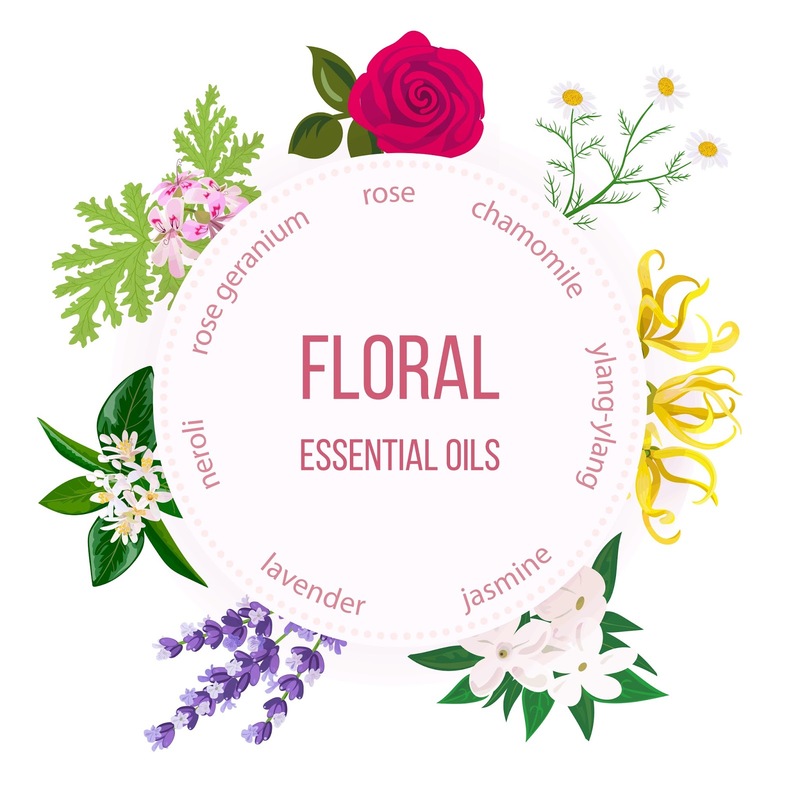 Seven of my favorite floral-type essential oils are Rose Geranium, Rose, Chamomile, Ylang Ylang, Jasmine (actually an absolute, but more on that later), Lavender and Neroli. If you are looking for one of the best places to buy genuine, authentic and organic essential oils, I suggest Mountain Rose Herbs. They offer the largest selection of 100% pure, certified organic and high-quality essential oils from farm to bottle. Their essential oils are perfect for aromatherapy, skincare, hair care, natural cleaning, soap making and DIY beauty recipes. You can visit them online at www.MountainRoseHerbs.com or click HERE. Here is a little bit of important information about each one from the Mountain Rose Herbs Aromatherapy Web page. Lavender: Botanial name is Lavandula angustifolia. It is steam distilled from the flowing tops. It is considered a middle note. It has a sweet, floral and herbaceous aroma. It is known for its skin healing properties and its use as a sedative. It blends well with bergamot, black pepper, cedar wood, chamomile, clary sage, clove, cypress, eucalyptus, geranium, grapefruit, juniper, patchouli, rose, rosemary and vetiver. You can buy a 1/2 ounce bottle from Mountain Rose Herbs for just $12.75 (current as of April 2017)...did I mention it is Certified Organic? Check it out HERE. Lavender: Botanial name is Lavandula angustifolia. It is steam distilled from the flowing tops. It is considered a middle note. 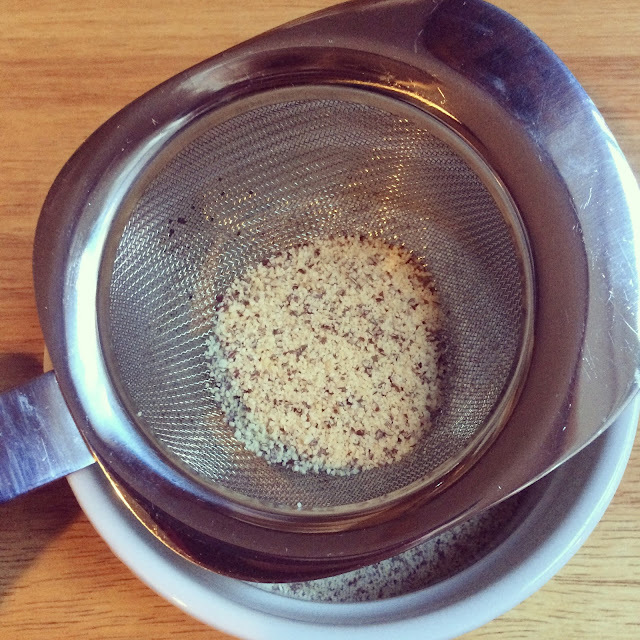 It has a sweet, floral and herbaceous aroma. It is known for its skin healing properties and its use as a sedative. It blends well with bergamot, black pepper, cedar wood, chamomile, clary sage, clove, cypress, eucalyptus, geranium, grapefruit, juniper, patchouli, rose, rosemary and vetiver. 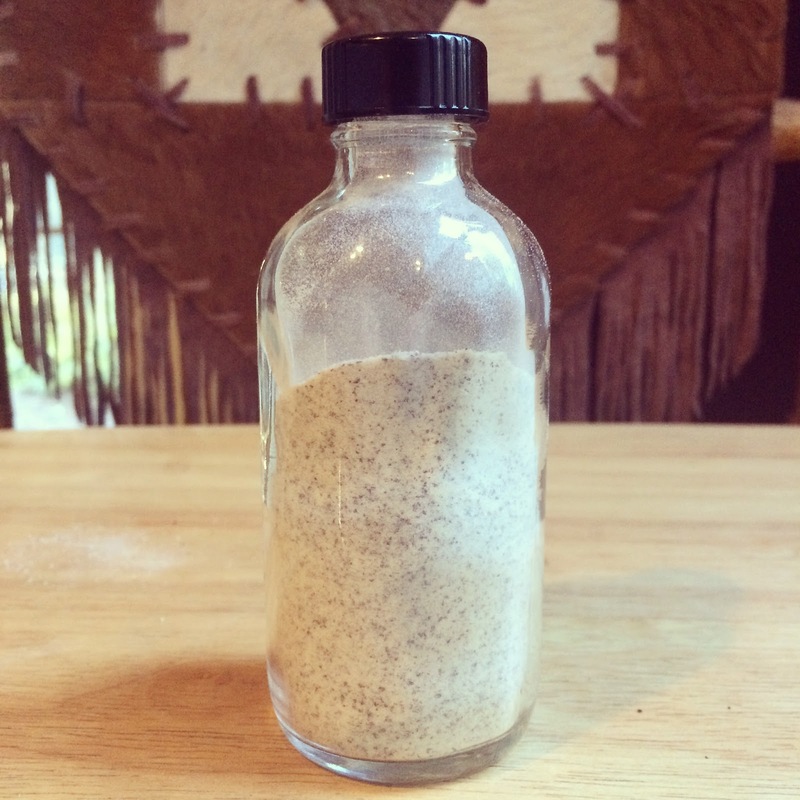 You can buy a 1/2 ounce bottle from Mountain Rose Herbs for just $12.75 (current as of April 2017)...did I mention it is Certified Organic? Check it out HERE. 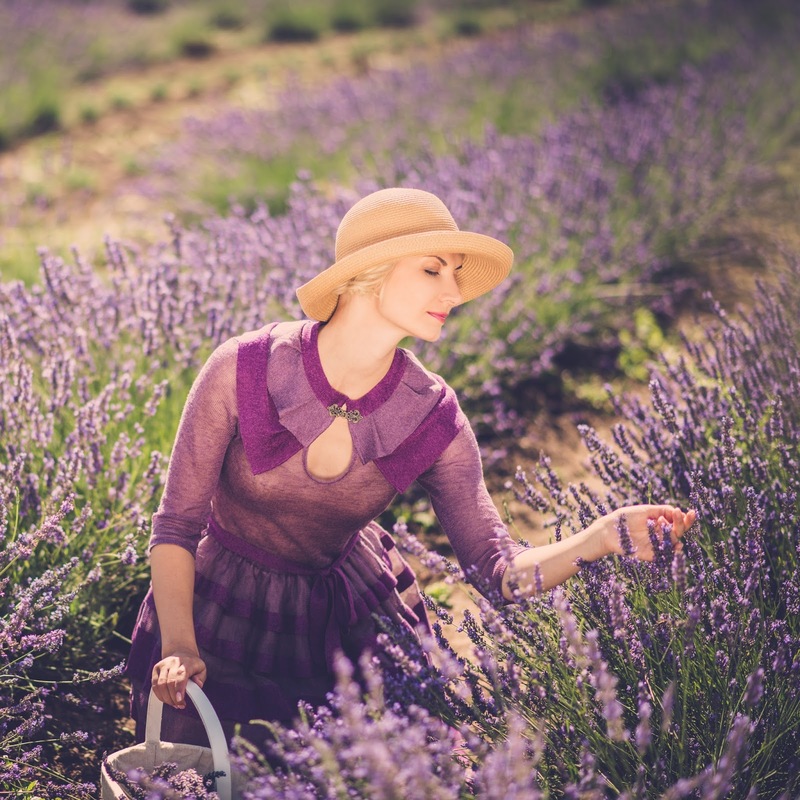 Try mixing in a few drops of lavender essential oil to a tablespoon of your favorite unscented lotion and applying it to your shoulders and neck before bed to help you unwind and enjoy peaceful sleep! Neroli: Botanical name is Citrus aurantium. It is steam distilled from the flowers. It is considered a middle note. It has a light, sweet-floral aroma and is often used in perfumes where it can be a base note and a top note. It has calming effects. Neroli blends well with benzoin, chamomile, clary sage, coriander, frankincense, geranium, ginger, grapefruit, jasmine, juniper, lavender, lemon, mandarin, myrrh, orange, petitgrain, rose, sandalwood and ylang ylang. Did you know that it takes about 100 pounds of orange blossoms to produce just a single pound of the neroli essential oil? It is one of the most expensive essential oils at about $360 per ounce. Mountain Rose Herbs has premium certified organic neroli in a 1/8 ounce size for just $68.75. If you would like to learn more about neroli, head over the the Mountain Rose Herbs website HERE. Rose: Botanical name is Rosa damascena. It is steam distilled from the flower petals that are picked by hand early in the morning before the sun comes out. It is considered a middle note and has a very rich, deep, sweet-floral aroma that is also slightly spicy. It is used mainly in the perfume industry and is believed to have sedative and aphrodisiac effects. Rose essential oil blends very well with benzoin, bergamot, chamomile, clary sage, fennel, geranium, ginger, helichrysum, jasmine, lavender, lemon, mandarin, neroli, patchouli, petitgrain, sandalwood, ylang ylang and vetiver. 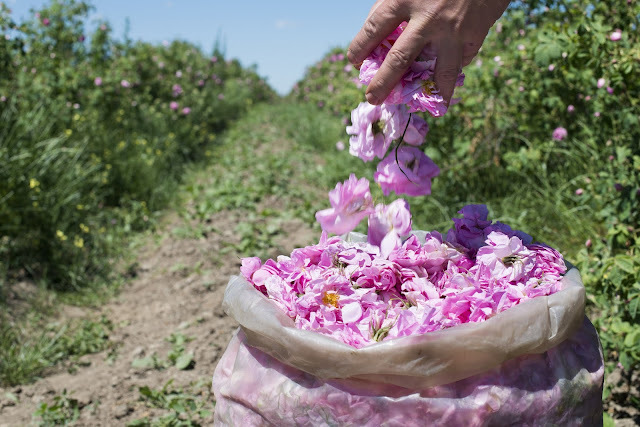 Did you know it takes about 10,000 POUNDS of rose petals to distill a single pound of the essential oil? This is another essential oil that comes with a hefty price tag. An ounce of certified organic from Bulgaria will set you back about $950 dollars. Mountain Rose Herbs does offer a fantastic certified organic rose essential oil from Bulgaria for $179.50 for 1/8 ounce. You can shop for it HERE. **You get what you pay for....if you happen to find a product labeled as Rose Oil that costs considerably less than the current market rase of between $700 to $1100 per ounce, chances are it is a synthetic or highly adulterated product and you should walk away from it!!! Rose is one of the most commonly adulterated and faked product on the market. Ylang Ylang: Botanical name is Cananga odorata. It is steam distilled from the flowers and is considered a base note in perfumery. Ylang Ylang has a very intoxicating, rich and sweet floral aroma. It blends well with bergamot, chamomile, clary sage, clove, eucalyptus, ginger, grapefruit, jasmine, mandarin, neroli, opopanax, orange, palmarosa, patchouli, peru balsam, petitgrain, rose, rosewood, sandalwood, tuberose and vetiver. The price point is not too expensive at all! Mountain Rose Herbs offers a certified organic complete distillation type for just $14.25 for a 1/2 ounce bottle. You can learn more or shop at the Mountain Rose Herbs website HERE. Jasmine Absolute: Botanical name is Jasminum grandiflorum. Jasmine flowers are solvent extracted with Ethyl alcohol which is why is not not called an essential oil but rather an absolute. It is a middle note with a warm, rich, deeply floral aroma. It has been used in perfumery for a very long time. It blends very well with bergamot, clary sage, clove, coriander, ginger, grapefruit, lemon, mandarin, neroli, orange, patchouli, petitgrain, rose, sandalwood and ylang ylang. 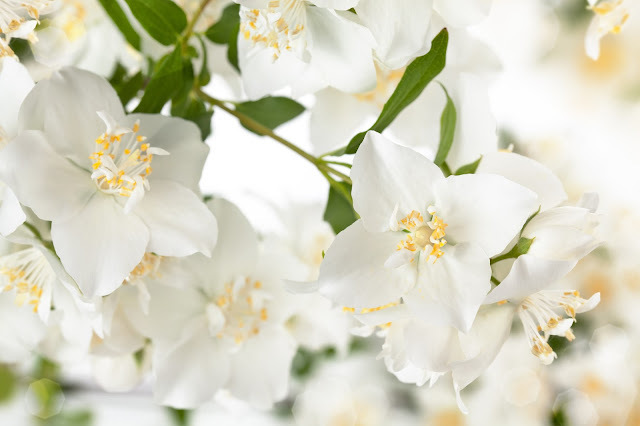 It takes about 2,000 pounds of jasmine flowers to produce a single pound of oil. 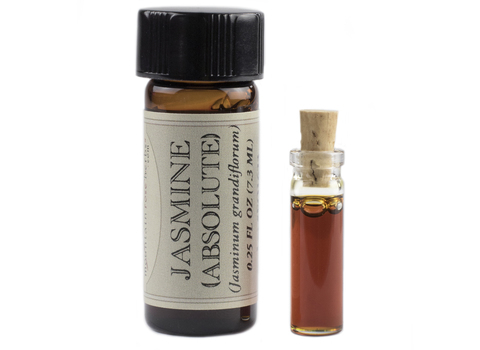 Jasmine absolute is an expensive oil that costs about $430 for a single ounce. Mountain Rose Herbs does offer a 1/8 ounce bottle for just $82.00. I you would like to order or learn more, visit Mountain Rose Herbs HERE. 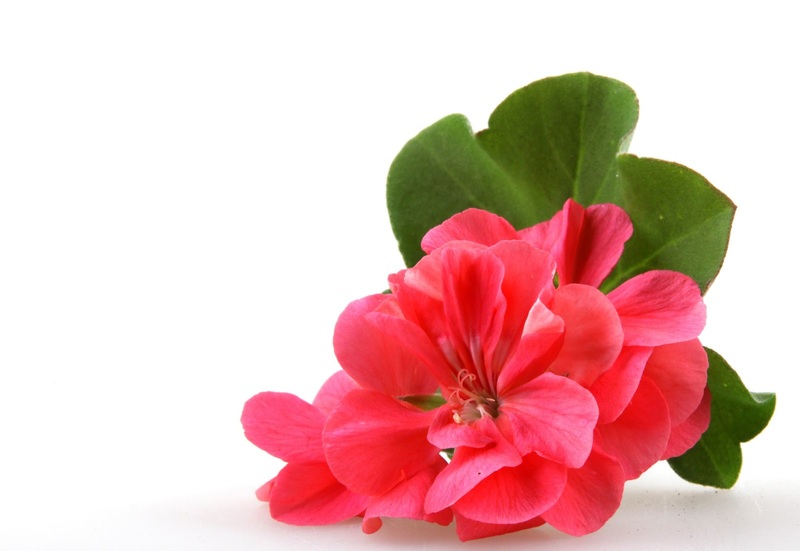 Rose Geranium: Botanical name is Pelargonium graveolens. It is steam distilled from the flowers and leaves. It is considered a middle note with a heavy, sweet, floral aroma. It is used in the perfume industry as well as the skincare industry. It blends well with bergamot, chamomile, clary sage, clove, cypress, ginger, grapefruit, jasmine, juniper, lemon, mandarin, neroli, palmarosa, patchouli, peppermint, rose, rosemary, sandalwood and ylang ylang. You can purchase a 1/2 ounce bottle of Certified Organic essential oil from Mountain Rose Herbs for just $19.50. Visit Mountain Rose Herbs HERE. 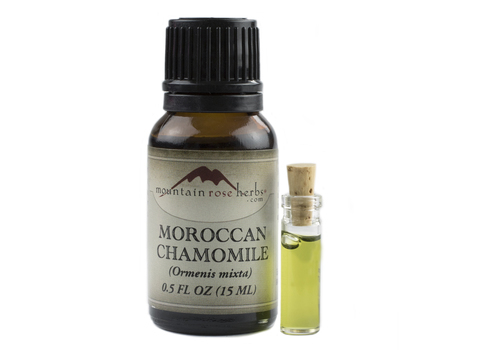 Moroccan Chamomile: The botanical name of this particular essential oil is Ormenis mixta. It is different than Blue Chamomile and Roman Chamomile in that it does not have as many therapeutic properties and is not used as much in skincare products. Moroccan Chamomile is mostly used in the perfume industry and is steam distilled from the flowers. It has a fresh, herbaceous, balsamic aroma and makes a wonderful perfume when blended with other oils. The funny thing is that this particular plant is not even a true chamomile. It grows easily in the Mediterranean and Middle East. It is fairly new to the perfume materials market and has been well accepted and enjoyed by many perfumers. It blends well with cedar wood, cypress, frankincense, lavender, oakmoss and vetiver. Mountain Rose Herbs has a 1/2 ounce bottle for $42.00. You can learn more HERE. IMPORTANT: As with all essential oils, never use them undiluted, in eyes or mucus membranes. Do not take internally unless working with a qualified and expert practitioner. Keep away from children. If applying an essential oil to your skin always perform a small patch test to an insensitive part of the body (after you have properly diluted the oil in an appropriate carrier. 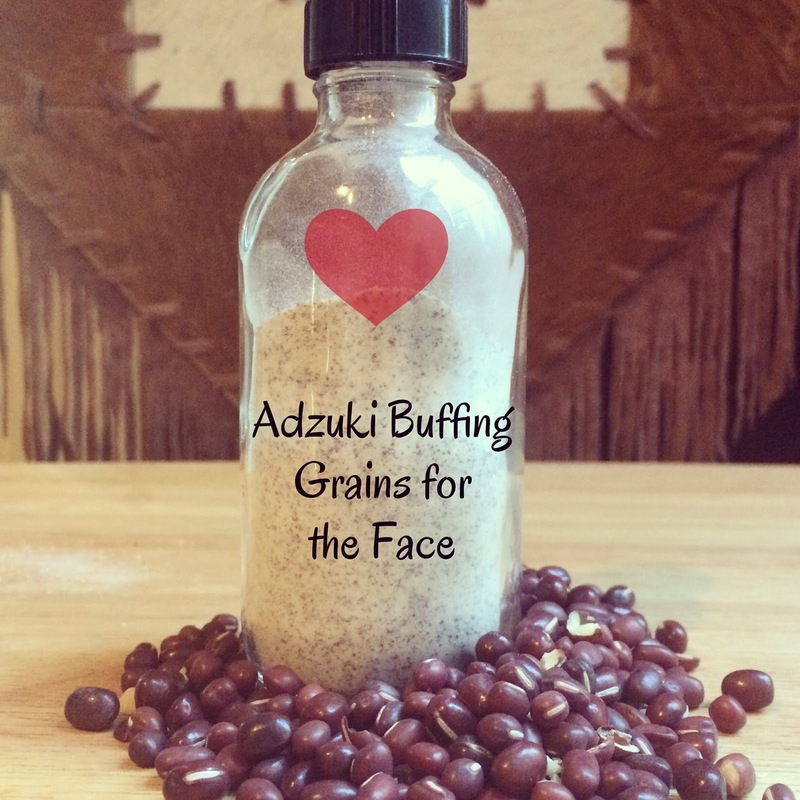 I found a teeny-tiny bottle of expensive adzuki buffing facial grains at a well-known beauty counter that costs a whopping $44.00 for 0.99 ounce. This particular brand-name product is meant to be sprinkled over your favorite facial cleanser to create a gentle exfoliator for your skin. The name-brand's ingredients include mostly hydrogenated jojoba oil, sodium laurel sulfaocetate, hydrogenated soybean oil and very finely ground Adzuki beans. There is also some polyethylene tossed in for good measure. The true magical scrubbiness is made from the adorable Adzuki beans. Adzuki beans naturally contain saponin which gently cleanses the skin and increases circulation due to its natural foaming soap-like action. 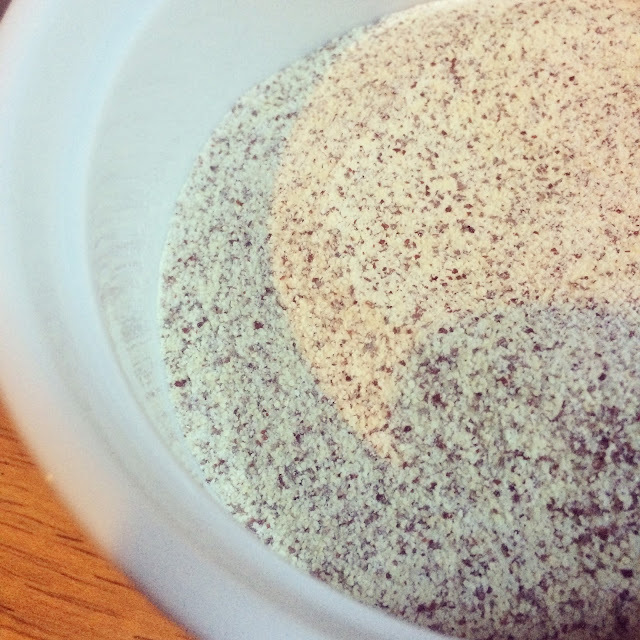 The finely ground bean powder also gently and effectively exfoliates your skin so that fresh skin can grow. I honestly spent under $2.00 to make an ounce of this awesome handcrafted beauty goodness. 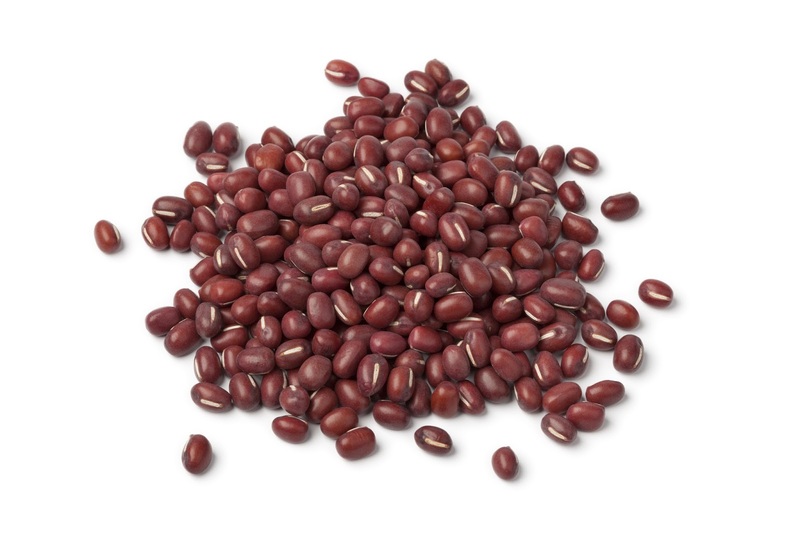 Organic Adzuki beans sell for about $6.00 per pound. Add in the glass container that I used to store the product in, and the project totaled a whopping $1.98. 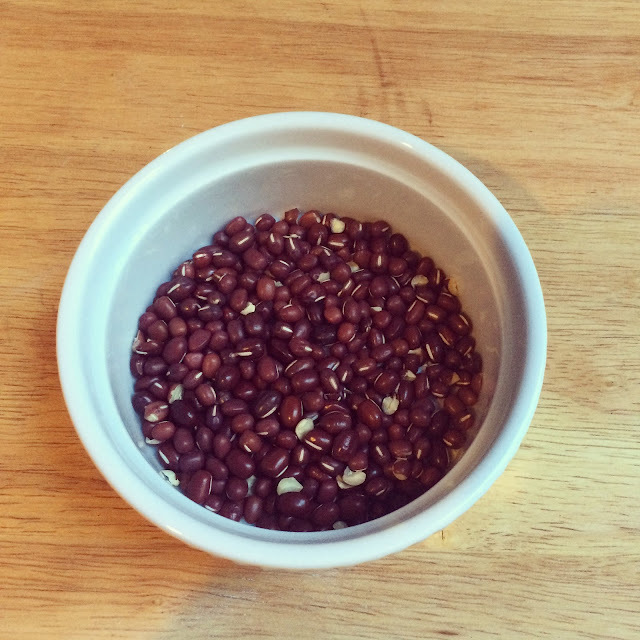 Since this recipe only uses Adzuki beans, feel free to use as much or as little as you like. Do a Google search and you will find plenty of Asian recipes that call for this cute little bean. 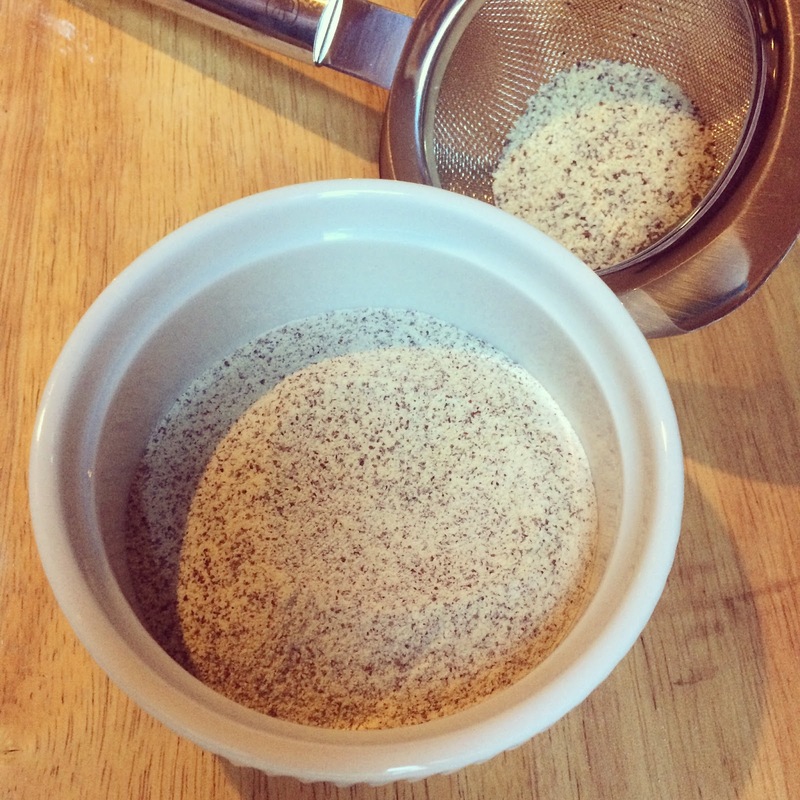 After you grind them up, shake them through a fine mesh sieve to separate the larger scratchy bits. Never put large particles of exfoliating stuff on your face because you risk irritation and cuts!!! You want a super fine powder that is gentle enough to use on your face. Always avoid your delicate eye area with any exfoliating product. You DO NOT need to exfoliate your eye area!!! 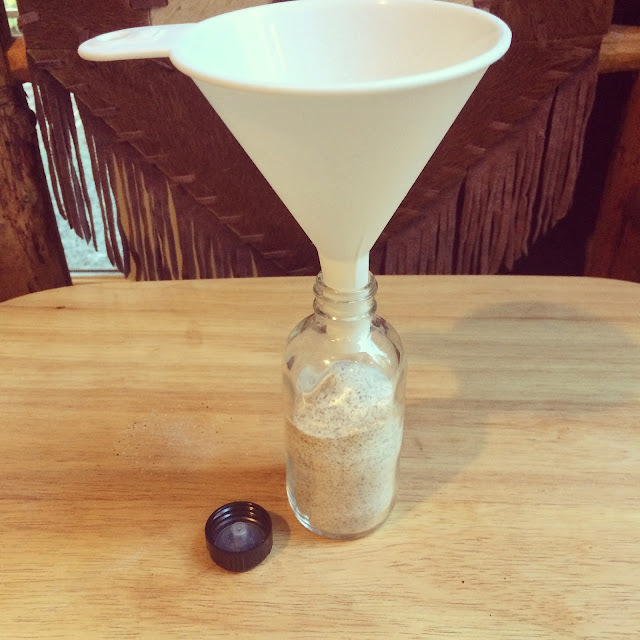 You want to store the ground powder in an airtight jar or glass pot with a tight fitting lid. I like to use a bottle so I can simply pour out the amount I need when I wash my face. I like to moisten my face with warm water, add about a teaspoon of my facial cleanser to the palm of my hand and sprinkle about a 1/2 teaspoon amount of the awesome Adzuki buffing grains to the cleanser. I massage and cleanse my face for a few minutes and then rinse my face with warm water. My face always feels smooth and soft. I love face scrubs!!! I use them several times per week. Stay tuned for more recipes!! Enjoy!! Please drop me a line to tell me how well you like this handcrafted all-natural beauty recipe.